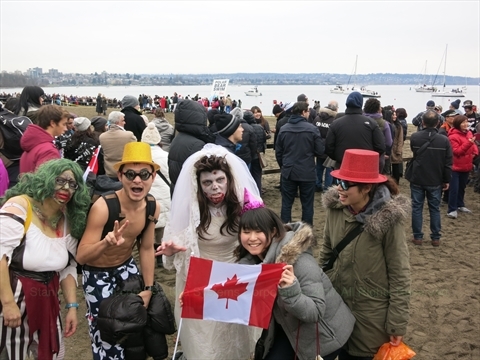 The Polar Bear swim is free annual event that takes place every year on January 1 at 2:30pm at English Bay in Vancouver, B.C, Canada. Thousands of people go for a short swim in the Pacific Ocean to celebrate the New Year. 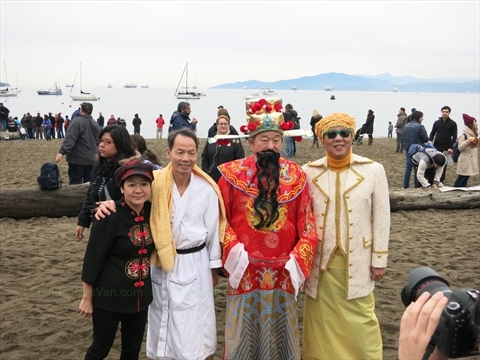 This has been a Vancouver tradition since 1920! It is really a big party carry-over from New Years Eve's party. Many people dress up in costumes for the swim. It is a really fun event! Thousands of people come out to watch and support the swimmer, so you don't even have to swim! 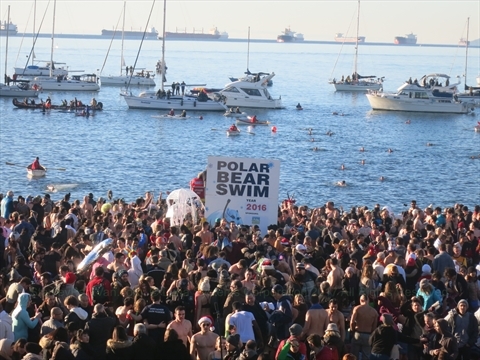 2019 is the 99th annual Polar Bear swim in English Bay! 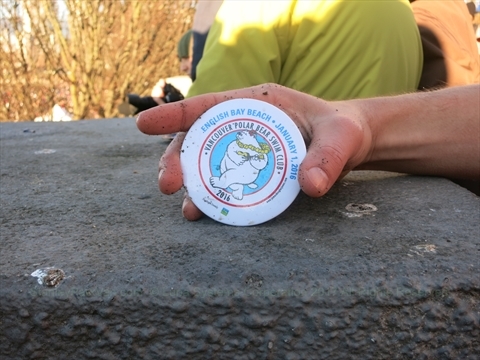 It is requested that people register for the swim so that the officials can get a somewhat accurate account of the number of swimmers that are taking place in the swim. Registration is from 12:30pm to 2:30pm in front of the English Bay Bath House. This event is free so there is no fee! The water is usually cold, so swimming is not for everyone! There is a 100 yard swim race where the first 3 finishers receive a trophy. This is called the Peter Pantage Memorial 100-yard Swim Race in memory of the founder of this event (see plaque below). 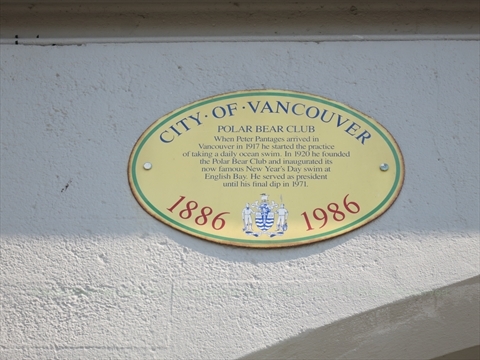 There is a plaque related to the Polar Bear Swim on the English Bay Bath House. When Peter Pantages arrived in Vancouver in 1917 he started the practice of taking a daily ocean swim. In 1920 he founded the Polar Bear Club and inaugurated its now famous New Year's Day swim at English Bay. He served as president until his final dip in 1971. Where is the Polar Bear Swim in English Bay, Vancouver, B.C., Canada? The Polar Bear Swim takes place in English Bay in Vancouver. Nearby is the English Bay Bath House and English Bay Seawall.